△ Easy reading display of TIME, PLAY GOLF, SCORECARD, SETTINGS modes. △ Preload with 36,000+ courses over 80 countries. Free download from Dreamsport homepage for upgrading. △ Long Battery Life - Up to 12 hours(GPS mode), 50-60 days (Time mode). Play up to 3 rounds with fully charged battery. △ Professional Golf playing. Auto course recognition and auto hole advance. Auto allocate your location about 30-60 seconds while your warm-up activity. △ Accurate front/center/back distances of green. Hazard/Layup distances (up to 4 per hole). △ Scorecard - Easy-to-Read the scores from previous rounds. △ Backlight - Easy-to-Read with the backlight and clear see the screen with LIGHT button. △ Auto time and date set by satellite with sun rise/fall time. - Size of watchband: max 9.5in; min 5.5in. - Material of band: TPU. - High sensitivity GPS chipset. NOW Register in the Dreamsport club to get latest courses support freely. ▲ Dreamsport DGF201 preloaded with 36,000+ golf courses in over 80 countries. FREE lifetime course updates. 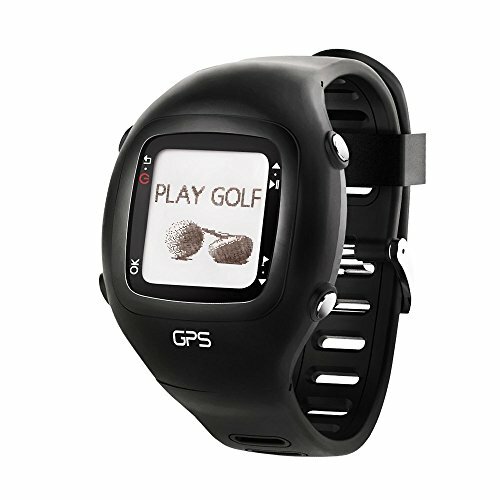 ▲ Battery life up to 12 hours(PLAY GOLF MODE), 50-60 days(WATCH MODE). Recharge Time - 3 hours. ▲ High sensitivity GPS chipset. Auto golf courses recognition and auto hole advance. Accurate distances to front/center/back of green as well as layup and carry distances to back of hazards. Up to 4 hazards or layup distance per hole,round odometer. ▲ Sleek design with comfortable watchband , fit for daily use and golf playing. 50 Meters water proof. ▲ 18 months warranty and FREE lifetime courses & firmware upgrading online from Dreamsport homepage. If you have any questions about this product by dreamsport, contact us by completing and submitting the form below. If you are looking for a specif part number, please include it with your message.